30 hours per week- daytime, evening and weekend hours may/will make up part of the 30 hours. Community Service Project Coordinator is responsible for assisting in the development and implementation of the plan to increase awareness in the community. 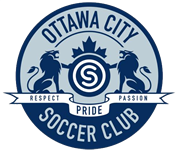 The community Service project coordinator demonstrates customer service excellence and Ottawa City Soccer Club core values in all interaction with others. Please put the job title (Community Service Project Coordinator) in your subject line. Please no phone calls or drop ins. After closing date we shall contact only the candidates selected for an interview. All applications are due by 11:59p May 30, 2017.